Horses shied at the quaint contraption shown above, as it chugged its way over country roads 40 years ago. It was an early International Truck—called an “Auto-Wagon” in those distant days. It was a pioneer in the truck field. The men who made those early Internationals were truly pioneers. The going was tough. They had to fight the prejudices of many who were geared to the horse and wagon. And they had to conquer a wilderness of unsolved mechanical and engineering problems. But the trucks they made, even then, were tough. Just as the International Truck of today is tough, with a built-in toughness that has made International Canada’s favorite heavy-duty truck. Yes, registration figures show that more heavy-duty Internationals were sold than any other make, in the ten years before the war. 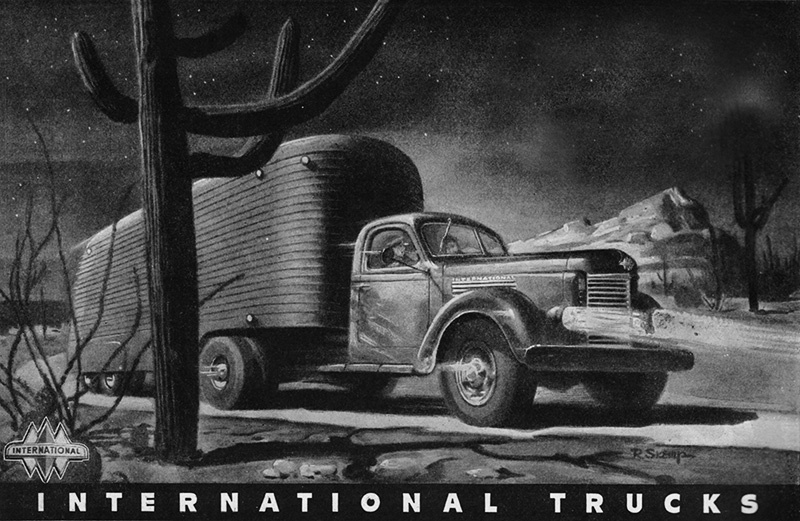 That old International “Auto- Wagon” was a fine truck, in its day. The heavy-duty International shown below is a fine truck today. The Internationals of tomorrow will be even finer trucks—in all sizes, for all hauling needs. Because our pioneering days are never over. We’re constantly pioneering with new improvements. And the result has been—year after year—better trucks. The government has authorized the manufacture of a limited quantity of trucks for essential civilian hauling. International is building them in medium and heavy-duty sizes. See your International Dealer or Branch for help in making out your application. Lets all remember that our job today—the job of all of us—is to fight harder on the home front… fight on the food front… give to the blood bank… buy extra War Savings Certificates… fight inflation . . . for victory. 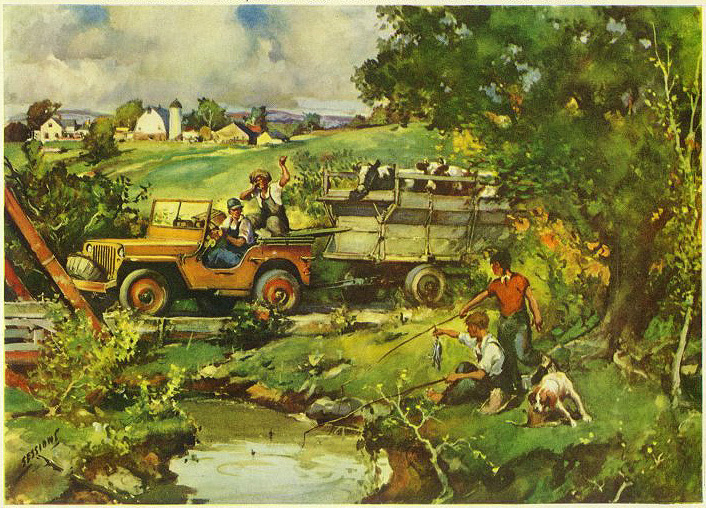 Famous for its outstanding performance in war, the “Jeep” has been fitted for peace, to work and serve on farms and in industry, around the world. The “Jeep” for peace, amazing in its versatility, is fitted to do a hundred-and-one jobs for the postwar Farmer and as many more for Industry … around the clock, around the year, around the world. It pulls, pushes or drags every type of farm implement. Doubles as a highway vehicle for a speedy trip to town, and then rounds out a full day as a mobile power plant — takes ‘Jeep” power to the job. An ever-ready servant twenty-four hours a day, the “Jeep” for peace raises the curtain on a new conception of automotive service … ushers in a new era of mechanization for farm and industry. Get a “Jeep”! 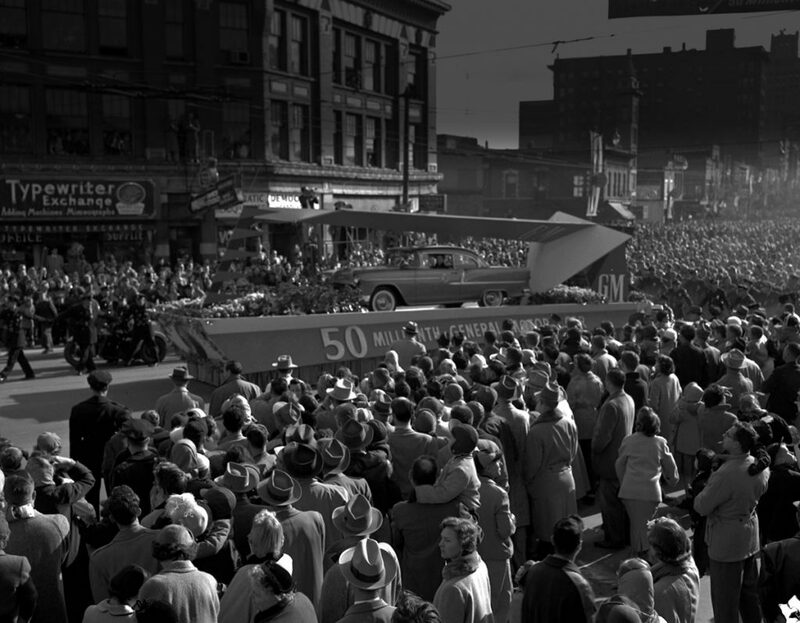 February, 1960 – The man behind the wheel is Arthur MacDonald, a pioneer in auto racing. Driving this 90 h.p. 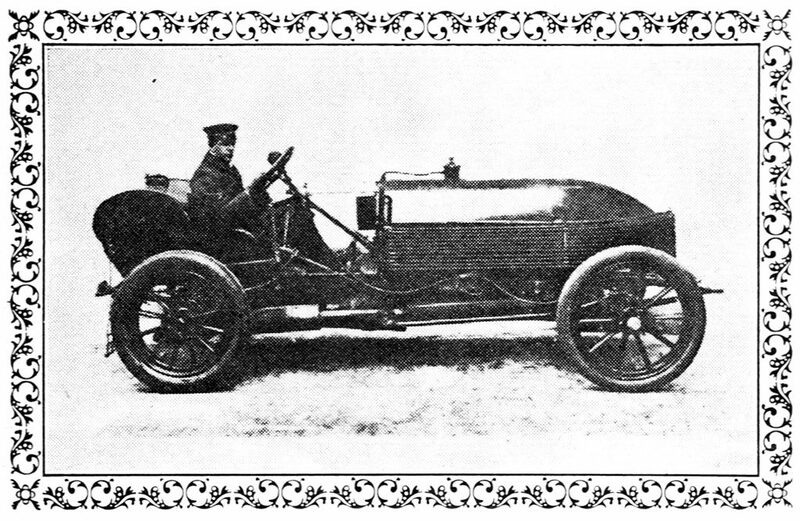 six-cylinder Napier, MacDonald captured the world’s speed record at Ormond beach in America. The year was 1905. MacDonald was clocked at 108.4 miles per hour. When this record was established, D. Ackland had already been serving Western Canadians for 16 years. Now after 70 years, they still carry on the tradition of service, dependability and fair dealing. FLINT, Mich., Nov. 23, 1954. – The 50 millionth automobile produced in this country by General Motors rolled off the assembly line of its Chevrolet Motor Division today. President Harlow H. Curtice headed a delegation of General Motors’ top executives who took part in the ceremonies marking the occasion. Chevrolet production employees and representatives from other divisions also participated. The 50 millionth General Motors automobile – the total includes trucks and buses as well as passenger cars, all built in the United States – is a 1955 six-passenger hardtop Chevrolet Bel Air Sport Coupe. No accomplishment like the building by General Motors of 50 million cars has ever before been achieved. But the building of 50 million cars is far more than a benchmark of production. Above all the achievement signalizes what can be done in an economy that encourages the free exercise of initiative by individuals, the free pooling of resources, the free collaboration of many hands and minds in a common task. That task has been and continues to be to serve the American customer well; to give him ever better values for his dollar. It is a tribute to those countless men and women all over America who shared in the job – employees, suppliers, suppliers of suppliers, dealers and stockholders – who between 1908 and 1954 furnished the initiative, the resources and the cooperation needed. General Motors’ first 25 million cars were built in 32 years. Customers called for another 25 million within 14 years. The size of the job grew as the years progressed – and with it the opportunities for all concerned. Now, as General Motors starts on its second 50 million cars and trucks, the opportunities ahead – for service and accomplishment – are greater than ever before. June, 1960: A speeding R.C.M.P. car is barely visible behind the open door of this patrol car as the radar equipment is demonstrated. The R.C.M.P. constable is preparing to radio ahead to stop the speeder, which was clocked at 72 miles per hour by the radar unit. Manitoba became the eighth Canadian province to make use of radar equipment in the control of highway traffic speeding when radar units began operation on Manitoba highways June 6. 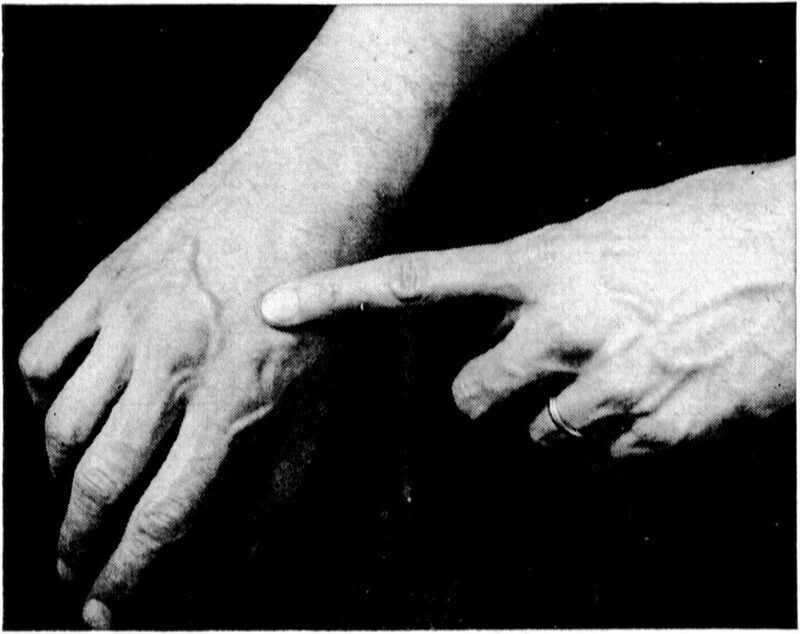 The seven other provinces policed by Royal Canadian Mounted Police already had the radar equipment in use. MOTOR IN CANADA, along with daily newspapers and radio stations in Winnipeg, were invited to a special demonstration of the radar equipment last month, prior to it being put into service on major provincial highways. RCMP officials explained the operation of the equipment and Hon. 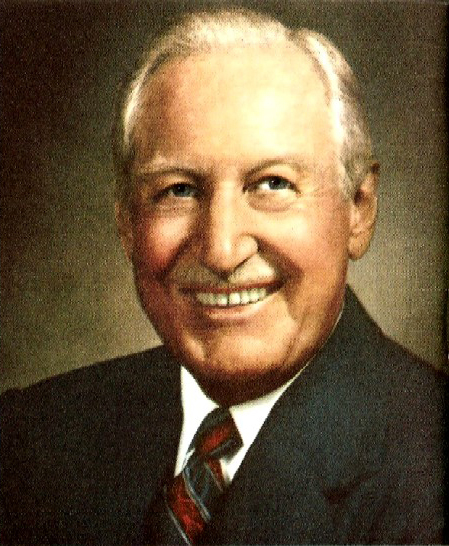 Sterling Lyon, Q.C., attorney-general for Manitoba, made the official announcement of the province’s decision to use radar. The radar units are being operated on 11 major highways in Manitoba. They will see service on the Trans-Canada highway, as well as provincial trunk highways 3, 4, 6, 8, 9, 10, 12, 15, 59 and 75. 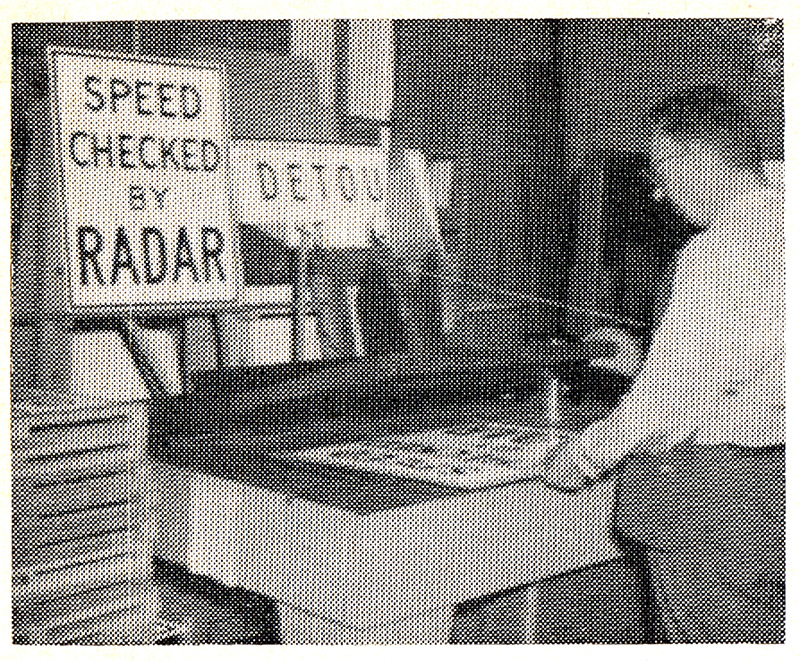 Mr. Lyon said the use of radar was not intended as a “speed trap,” but rather to enforce safe speed laws, as a means of preventing highway accidents. He announced that Manitoba motorists would be given a “month of grace” during June, when warning tickets would be issued, rather than convictions. Signs are being placed on highways concerned to inform motorists that radar equipment might be in use. The radar equipment consists of three parts — a “transceiver”, a speed indicator and a recorder. The “transceiver” is a small box that operates as both a transmitting station that beams microwaves and a receiving station that receives the “bounce” from moving vehicles. Placed at the side of the road, it can determine the speed of vehicles both coming toward it and going from it. The speed indicator, set up on the dash of the RCMP car, is attached to the “Transceiver” by wire and translates the electrical impulses into miles per hour. 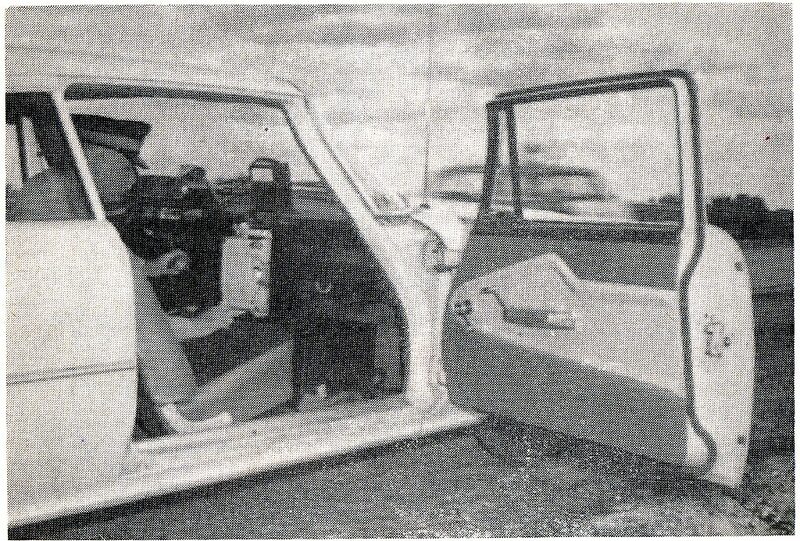 The recorder, also attached by wire to the “transceiver”, permanently records the vehicle’s speed on a moving graph. Once the equipment is set up, it records the speed of every vehicle passing through the radar beam. When a speed violation is recorded, an RCMP officer radios to another RCMP car located down the road and within sight of the radar-equipped car to stop the speeder. The radar equipment also has a built-in “tolerance” of two miles per hour in favor of the vehicle involved. With radar in use in Manitoba for enforcement and, particularly, as a deterrent, the incidence of traffic accidents caused by excessive speeds is expected to be sharply reduced, Mr. Lyon said. Across the country, car buyers are thinking more and more in terms of the low-priced Edsel. Latest figures show that Edsel sales continue to exceed the same months last year. What’s the reason for this continuing sales growth? For one thing, Edsel is now priced down with many models of Chevrolet, Plymouth and Ford. Edsel offers many “extras”, too, at no additional cost. And there are two Edsel V-8’s and an economy Six that run on regular gas. The 1959 Edsel has proved to be today’s top car value in many different ways. Here is the car that gives you the size, luxury, comfort and performance of medium-priced cars costing much more. Yet, Edsel costs no more than many models of Plymouth, Chevrolet and Ford. The big thing to remember, though, is that you really save with Edsel. First, when you buy it—because Edsel costs less money initially—and second, as you drive Edsel, because it gives you premium performance and fuel economy on regular gasoline. 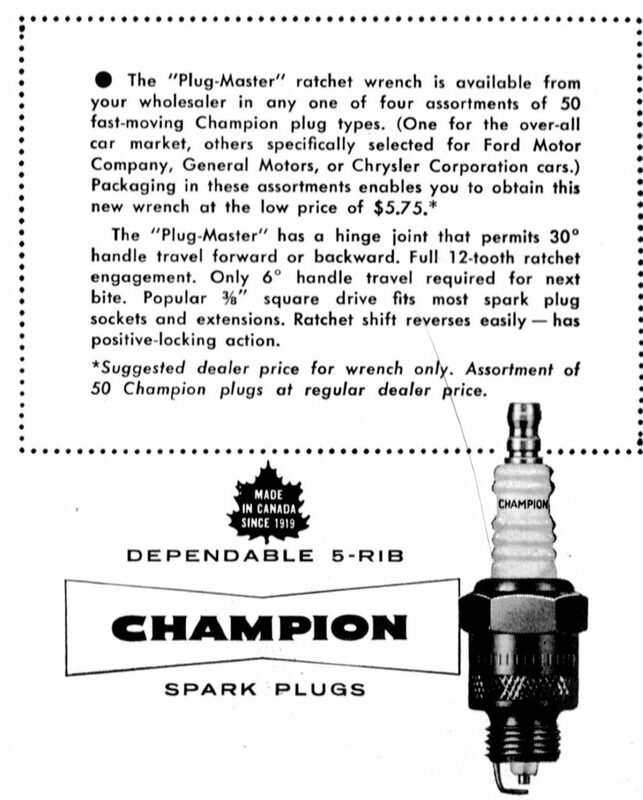 Even more, Edsel features a long list of “extras” that you don’t have to pay one penny more for—many of which competition either doesn’t have, or charges extra for. These are only a few of the reasons why we say that no matter how you measure it, Edsel is the year’s “king-size value in the low-price field!” Ask your Edsel salesman for a demonstration ride. Discover for yourself the thrill of driving an Edsel. One of the main objectives behind the introduction and production of the 1959 Edsel was to give the American car buyer an automobile with a maximum of quality and dependability. Edsel parts and materials, for instance, were put through tortuous tests and “proved out” before being given an O.K. for general production. 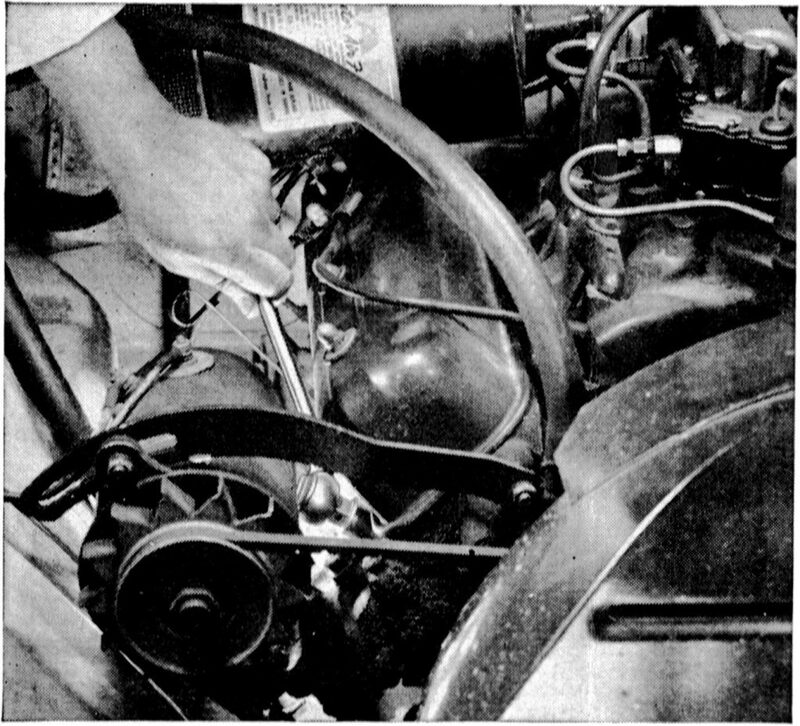 Edsel designers and engineers checked and re-checked working parts and designs to provide proper fit and longer wear. A unique Quality Control program was instituted, too—one that searches out defects, reduces any “bugs” which might appear. In the hundreds of thousands of hours spent in developing the 1959 Edsel, each component—suspension, steering, frame and dozens more— was developed, refined and tested. Slowly, gradually, the solidly built and engineered Edsel emerged. Some of the first Edsels built were taken to Ford Motor Company’s high-speed oval track at Kingman, Arizona, where they were exposed to hot weather, high-speed endurance testing. Other Edsels went to Ford’s proving grounds in Romeo, Michigan, where they were torture-tested under every condition imaginable. They climbed unbelievably steep grades in forward gears and in reverse. They were driven unmercifully over extra-rough roads. They were run through deep water and sand pits. All this, to make sure that Edsel gives you, the American car buyer, the kind of car that can really take it . . . stand up under practically every condition of driving. of chrome and paint. They also tested the interiors and exteriors for weathering and sun fading. 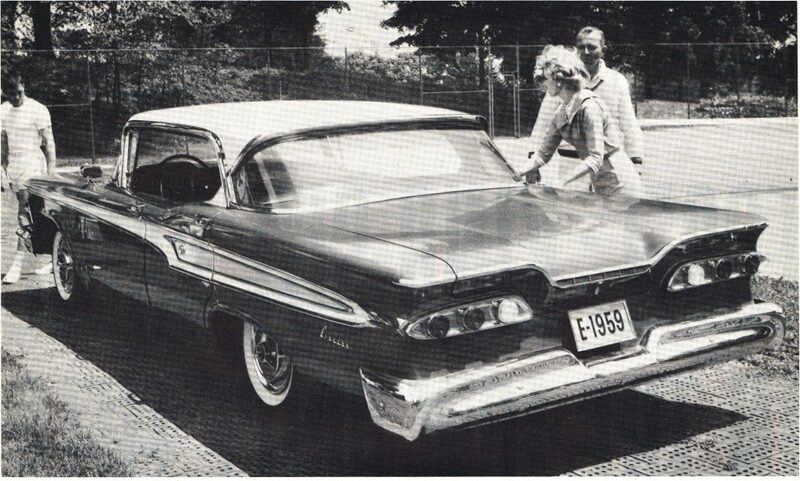 This is the basic story behind the 1959 Edsel. Every effort has been put forth to give you a quality car … a solid, dependable automobile that gives you dependable operation and cuts your maintenance costs. EDSEL RANGER 4-DOOR SEDAN. Other Ranger models include a 4-Door Hardtop, a 2-Door Hardtop and a 2-Door Sedan. When it comes to designing an automobile for human comfort, Edsel engineers go much further than measurements and slide rules. Edsel engineers “comfort engineer” every inch of available space. They move seats up and down, slide them forward and backward, tilt them forward and backward—test every angle to insure the greatest sitting comfort. Every possible combination of driver and passenger position is checked out. Edsel engineers also subject the car to wind-tunnel tests to determine the efficiency of heating, cooling and ventilating controls and design. Edsel air conditioning is tested under heat conditions of summer desert temperatures. The result? 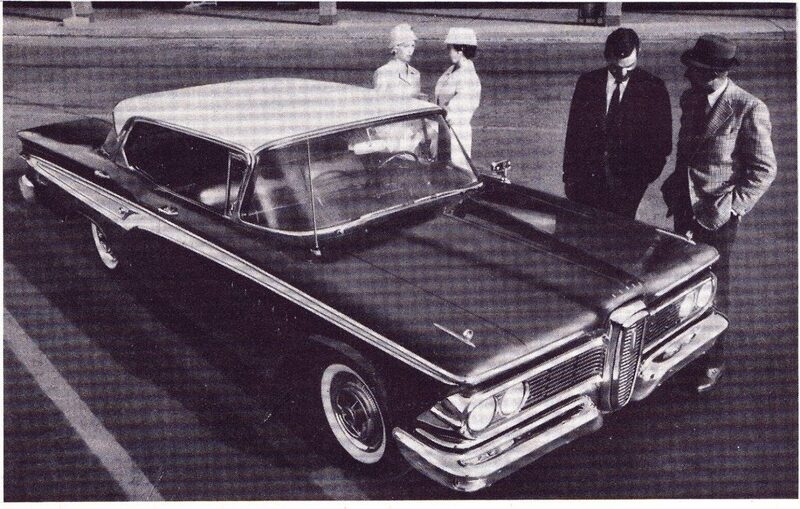 The 1959 Edsel offers driver and passengers alike more roomy comfort . . . there’s extra head room, leg room and greater width on the inside for relaxed, “stretch-out” sitting. And Edsel offers more heating and ventilating comfort, too! 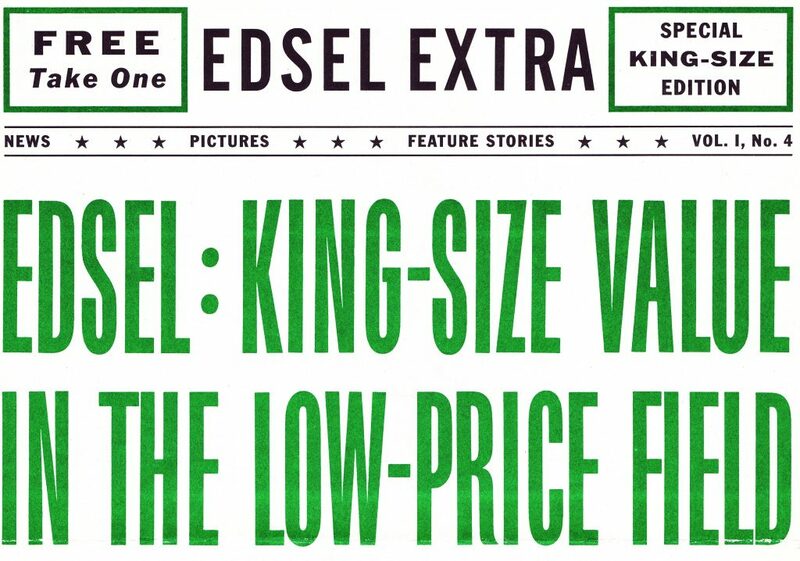 EDSEL: KING-SIZE BUY Extra Size, Performance, Mileage, Quality…at No Extra Cost! This year, while many other car prices have jumped up, Edsel prices have come down! In fact, Edsel prices now match many models of Ford, Chevrolet and Plymouth. But reducing the price of the Edsel doesn’t mean that its high standard of value and quality has been lowered. On the contrary. The ’59 Edsel still lets you enjoy the distinction, performance and luxury of a bigger, more expensive car—but at a low-priced car investment. EDSEL CORSAIR 4-DOOR SEDAN. Other Corsair models: Convertible, 4-Door Hardtop and a 2-Door Hardtop. operate best on regular gasoline—squeeze extra miles out of every drop! There are no extra charges for Edsel’s many “built-in” features, either. Features like wall-to-wall carpeting, foam rubber front-seat cushions, aluminized long-life muffler and many, many more. And Edsel—comparably equipped, item for item, with many models of the popular three— sells in the same price range! Edsel has big-car “feel”, too. That’s because quality has been built into it. You get the weight, wheelbase and comfort you expect to find in much higher priced cars. 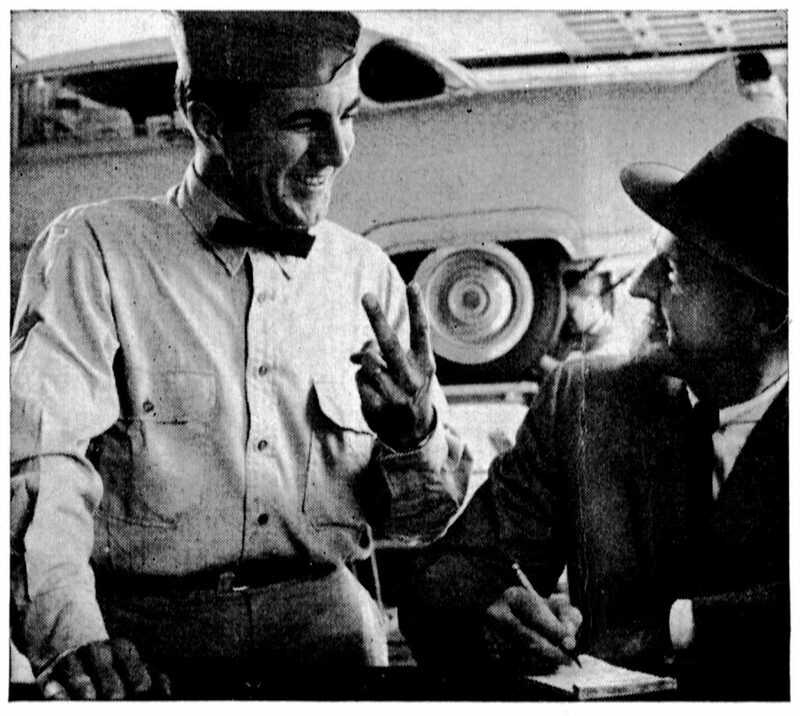 And you’ll notice, as you inspect Edsel, that careful attention to detail throughout is a part of Edsel’s wonderful and important quality story for 1959. With Edsel, big-car advantages are yours at a price you can easily afford to pay. For example, the Edsel Ranger is actually priced below 40% of Chevrolet’s models. Some of the fine car features you will find in Edsel include self-adjusting brakes, double-panel door construction, single-control heating and ventilating system and luxurious, thick loop-pile, wall-to-wall carpeting. Edsel also offers you a host of other extras at no additional cost— power-booster windshield wipers, inside hood release, electric clock and oil filter, to name a few. EDSEL VILLAGER 6-PASSENGER STATION WAGON. 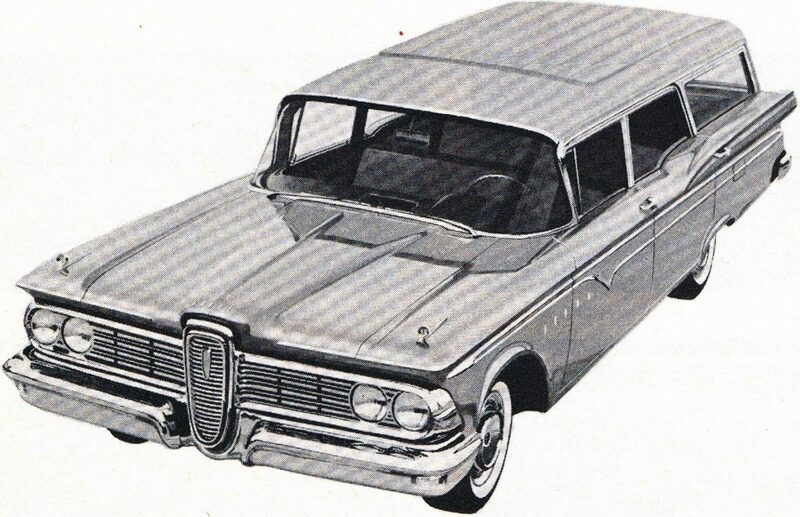 Also available is an Edsel Villager 9-passenger Station Wagon. Decide what you want an engine to do—then take your choice from Edsel’s four new engines. You have a big choice, too, because Edsel has designed its new engines to give the vast majority of American motorists exactly what they want in performance and economy. The Edsel Economy Six is a special engine option at lower cost. This high-mileage maker saves you money every time you drive. Deep-block, over-square design principles provide greater efficiency, give power plus economy. 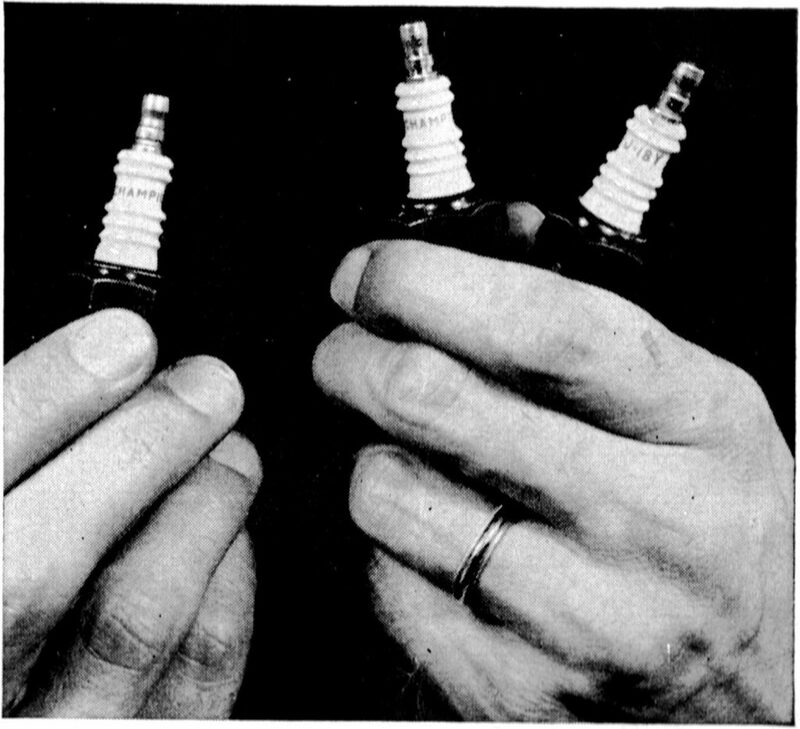 stroke, deep-block design means shorter piston travel. And this means increased efficiency, reduced friction and less wear. They give more power for less fuel. Quality features include precision-balanced crankshaft, special plated pistons, and many other advantages. If you want outstanding performance with good fuel economy, you’ll want Edsel’s new Super Express V-8 engine. This is one of the biggest, most powerful engines in the low-price range. 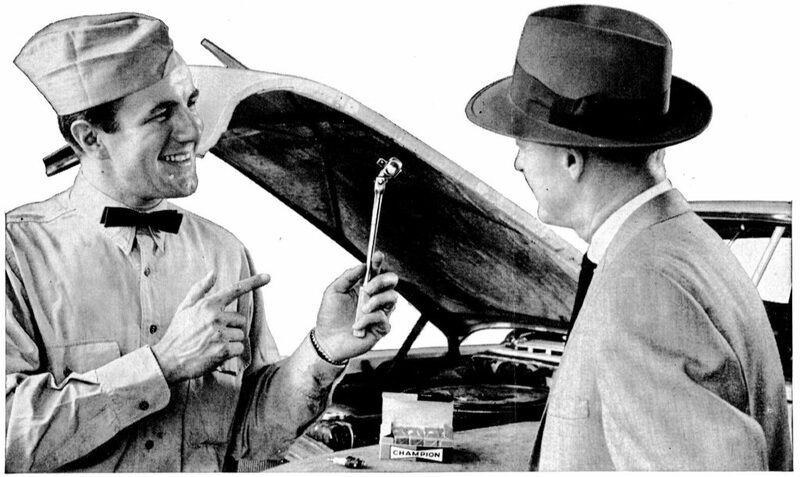 The big news about Edsel’s engines, though, is that you can save money every mile you drive. Two of the V-8’s—Edsel Express V-8 and Ranger V-8—and the Economy Six operate best on regular gas! EDSEL RANGER 2-DOOR SEDAN. Top quality in even the lowest priced Edsel. Features beautiful, color-keyed fabrics with matching roof linings; spacious interiors; a smooth, comfortable road-poise ride and powerful, efficient engine that operates best on regular gas. Designed to offer more value all the way around, the 1959 Edsel gives you big-car luxury at low prices. Many outstanding features that Edsel pioneered last year are standard equipment in ’59. Self-adjusting brakes, aluminized muffler and Diamond Lustre enamel finish are a few examples. In addition, the 1959 Edsel offers these extras at no additional cost—foam rubber front-seat cushions, safety steering wheel, electric clock, oil filter, air cleaner, wall-to-wall carpeting, power- booster windshield wipers, turn signals, arm rests (front and rear), inside hood release and dual sun visors. 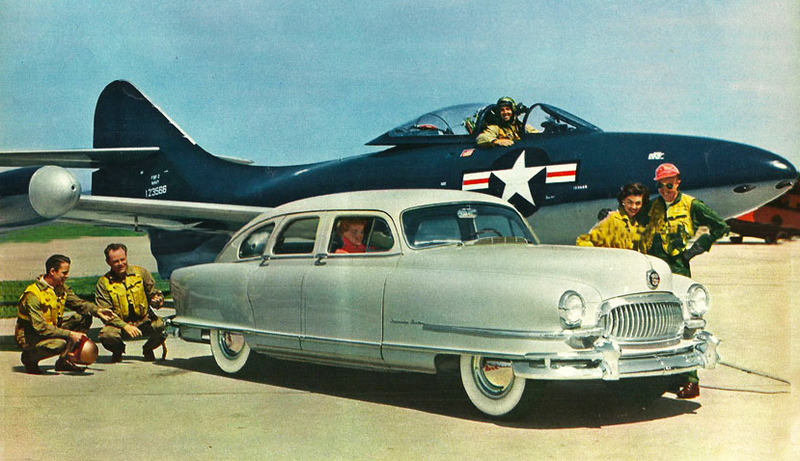 1951 Nash Airflyte Ambassador with the Grumman F9F Panther Navy fighter jet. In all the world there are no cars like these! Here are the first cars forever free of body-bolt rattles and squeaks… cars that are quieter, that stand up better, stay new years longer than others. Cars that set new standards of economy and performance. Cars with the clean, fresh beauty of jet planes – cars scientifically proved to have less air-drag, less wind roar. 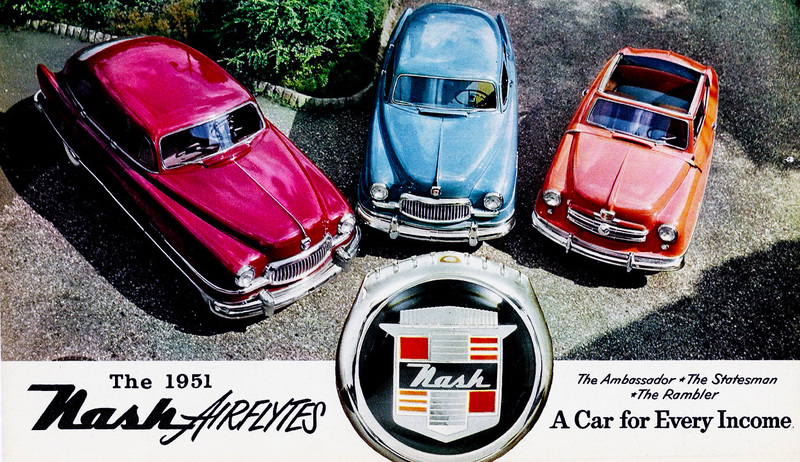 These are only a few of the priceless benefits of Airflyte Construction… the Nash way of building automobiles that has sept Nash post-war sales ahead five times as fast as the average of the industry. Yes, these are the Airflytes that challenge your comparison with any car at any price. Before you decide, take an Airflyte ride – in the world’s most modern car. Line-up of Springfield 100-mile big car race. Mike Nazaruk, No. 73, set a new world record for a mile lap. Broncho Bill Schindler placed himself among the AAA National Championship winners by riding hard to a new record at the annual Springfield, Ill. State Fair 100-mile Indianapolis car race. At the same time, Jack McGrath and Sam Hanks, finishing second and third, respectively, placed themselves in serious contention to capture the National Championship title, the top crown in big time auto racing. Troy Ruttman, No. 98, and Jack McGrath, No. 4, battle for second place. McGrath took second and Ruttman went out on the 87th lap with engine trouble, finishing twelfth. Troy Ruttman, winner of this year’s Indianapolis 500-mile race and leader in the national point standings, limped to the pits to finish in twelfth position after leading the contest for much of the way. He reported that his engine developed a terrific vibration on the 87th lap of the mile oval. Ruttman was running third at the time and was attempting to overtake McGrath. 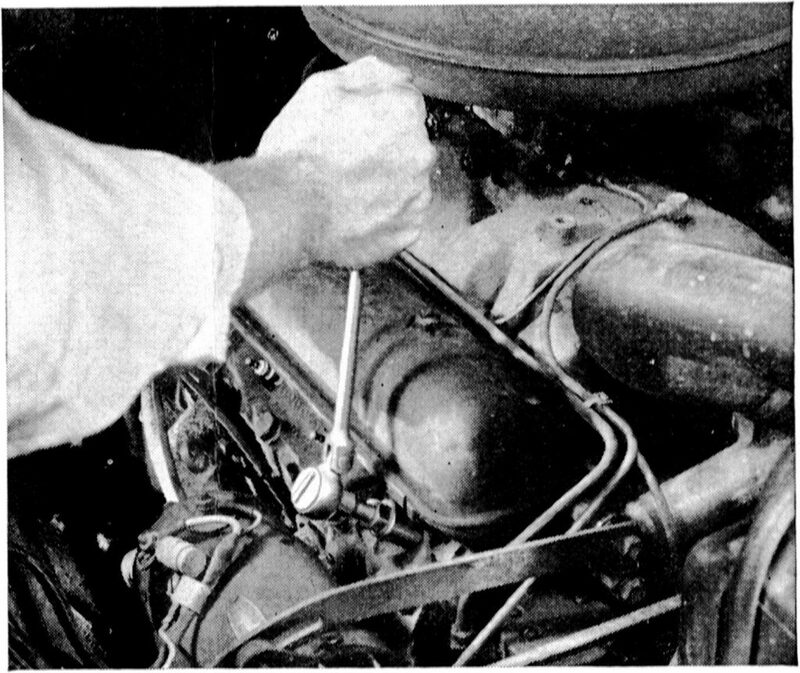 Ruttman said he could see no sense in ruining a $6,000 engine for a possible second place and was upheld in this contention by car owner J. C. Agajanian and mechanic Clay Smith (Speed Age Award Winner, 1950). The following day, during a sprint at Cedar Rapids, Iowa, Ruttman suffered injuries that will keep him from racing possibly as long as a few months. His car crashed in a heat race and he sustained a fractured arm, a severe head injury and other wounds. His condition was reported good. The accident, attributed to steering gear failure, occurred as Ruttman was rounding a turn at 25 mph preparatory to the start of the heat. Thus, Ruttman’s quest for the championship may rest with the accumulated 1410 points, as shown on the accompanying box score. Whether he wins the crown depends on the accomplishments of Jim Rathmann, Duane Carter, Sam Hanks, Jack McGrath and others. It is conceivable that points in the remaining races can be so split up that Ruttman will be the champion. He had a 340 point lead, after the Springfield race. It also is conceivable that a consistent performance by any of the four men following Ruttman in point standings could win the national title. Thirty-five cars attempted to qualify for the 18 starting positions at Spring- field. with Mike Nazaruk. in the McNamara Special, taking over the pole position with a new track and world’s record of 33.82 seconds, 106.41 mph. The old mark set by Jimmy Davies, now in Korea, 35.50 seconds, was bested by 16 of the 18 starting cars, an indication of the fast condition of the track and the cars. In the race, records fell all the way. Ironically, Nazaruk was the first to go out of the race . . . with a broken drive shaft on an early lap. McGrath took the lead, in the Hinkle Special, on the first lap. with Ruttman on his tail and Nazaruk in third. At the conclusion of the second lap. Ruttman’s Agajanian Special was leading, with McGrath and Nazaruk in that order. Ruttman continued to lead, setting new records each lap. At the 15th lap. Chuck Stevenson, in Bessie Paoli’s Smith Special, advanced from the seventeenth starting spot, as the field began to spread out. Neal Carter, Auto Shippers Special, came in for the first pit stop of the race, on the 21st lap. At the quarter distance, Ruttman was 11 seconds ahead of Nazaruk, who was leading McGrath by exactly the same time. Schindler, in the Chapman Special, was riding McGrath’s tail. Just before the half-way mark, Nazaruk retired from competition and McGrath moved into second place, with Schindler still riding close herd on the flying driver from Pasadena, Calif.
As he completed his 50th lap, Ruttman gained a full lap on McGrath and the field. Seven laps later, Ruttman was in the pits with a flat right rear tire, as many cars began to show signs of wear from the hard, past pace. Bobby Ball lost the tread from one tire, but continued to push the Blakely Special. As the rest of the rubber peeled, exposing the cord, his car lost traction and he slid into the outside wall, but was uninjured. The yellow flag came out and the race slowed until Ball’s car could be removed from its hazardous location. During that time, Ruttman’s pit crew replaced the tire and he pulled back into line, behind McGrath and in front of Schindler. When Starter Bill Vanderwater dropped the green flag on the 66th lap, Ruttman and Schindler shot past McGrath. This maneuver put Schindler in the lead and McGrath second, with Ruttman now third, almost a full lap behind McGrath. Ruttman set a terrifically fast pace and was gradually cutting do ..-n McGrath’s advantage, when the engine vibration started, 13 miles from the finish. Schindler maintained a 102 second lead over McGrath at 88 miles when the Hinkle driver started a spurt,, but it was too little and too late. When the checkered flag dropped, it was Schindler to win. McGrath a close second, Hanks third, Jim Rigsby fourth and Chuck Stevenson. driving the Springfield home town entry, Springfield Welding’s Smith Special, fifth. Joe James finished sixth, Henry Banks (1950 SPEED AGE Driver of the Year) seventh. Jimmy Reece (now a civilian after discharge from the Air Force) eighth Eastern Champion Tommy Hinnershitz ninth, and Neal Carter tenth. Other data is supplied in the box score. The next stop on the Championship Trail was the Milwaukee 200-miler. the following week, followed by Detroit, DuQuoin and Syracuse in that order. Failed to qualify, in order: Johnnie Parsons, Frank Luptow, Andy Linden, Duane Carter, Rodger Ward, Jim Rathmann, Bill Vukovich, Frank Armi, Paul Russo, Eddie Russo, Eddie Johnson, Bob Sweikert, Gene Force, Duke Dinsmore, Ottis Stine, Jimmy Bryan, Allen Heath. Before you consider other low-priced cars drive the Rambler and may the best car win! Economy—Did you know Ramblers are so economical you can operate two for less cost than one of most makes? Because they’re smart and “cute as a bug’s ear”. They are more versatile, being better suited for personal transportation and yet roomy and comfortable for long distance family trips. Because they have the superior comfort and safety resulting from the modern engineering that has produced single-unit body and frame construction. For 1956, we have been most mindful of these facts in bringing out the All-New, All-American Rambler. Do you like sleek, beautiful styling? Would you like snappy performance with up to 30 miles a gallon? Would you like to get top resale value when you trade? Would you like the extra protection of three-dimensional single-unit construction? Would you like to have a compact, easy to park car with plenty of comfort and room inside? You can have all this—but you be the judge—slip behind the wheel of a Rambler and see for yourself. I know the car you will buy if you do.